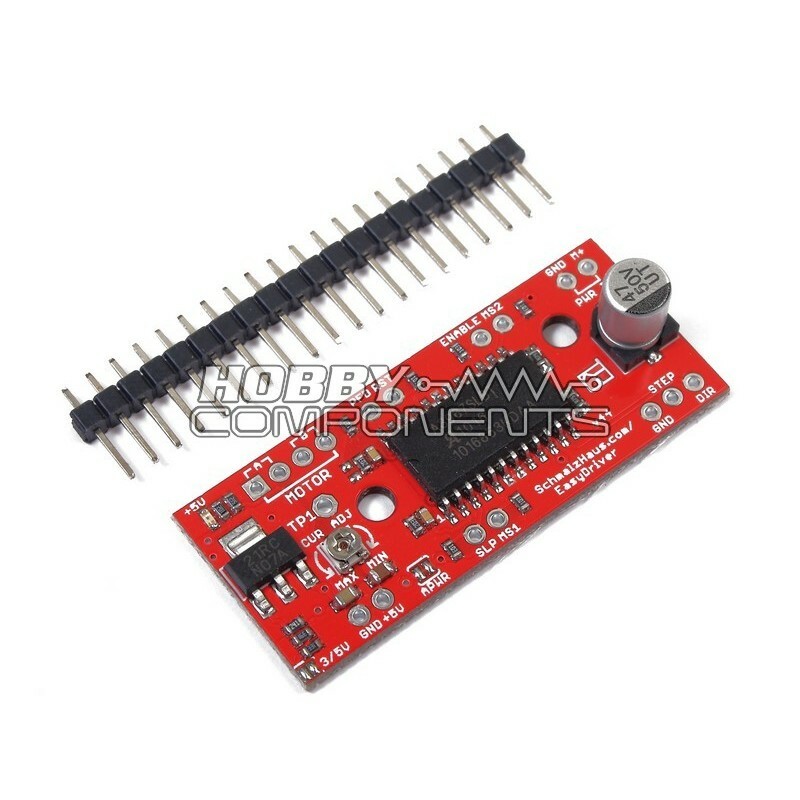 This EasyDriver compatible stepper motor driver module utilises the Allegro A3967SLB microstepping driver to proved a simple and compact means of driving bi-polar motors, and motors wired as bi-polar. I.e. 4,6, or 8 wire stepper motors from a mirocontroller. By default the module will accept a 5V TTL step and direcion signal from the microcontroller to step the motor in either full, half, quarter, and eighth-step modes. By shorting jumper SJ2 the it can also be configured to be compatible with 3.3V microcontrollers that are not 5V tolerant. An on-board potentiometer allows for setting maximum drive current. Note: Never connect or disconnect the motor whilst the module is powered as this will cause permanent damage to the A3967. The +5V output pin is for reference only. Attempting to use it as a power supply will cause the on-board regulator to fail in a way that will cause permanent damage to the module and other connected equipment. 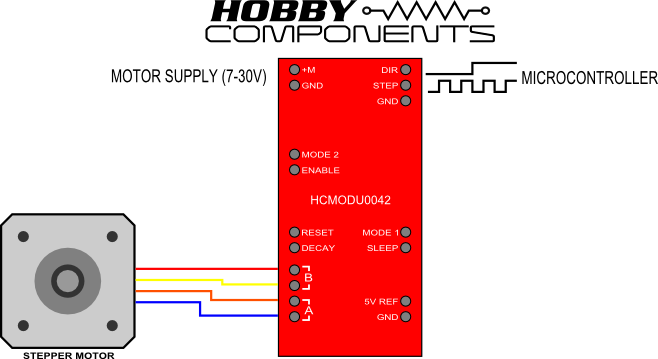 Easy control of stepper motors with just 2 signals. Compatible with 7 to 30V stepper motors. Compatible with 4, 6, and 8 wire stepper motors. Output enable and sleep modes.